Make your Story is a sewing experience in Brussels and a plunge in the universe of Lauriane Milis, the fashion designer of Wear a Story. Let’s express your creativity by ucpycling ancient garments into contemporary designs that reflect who you really are. 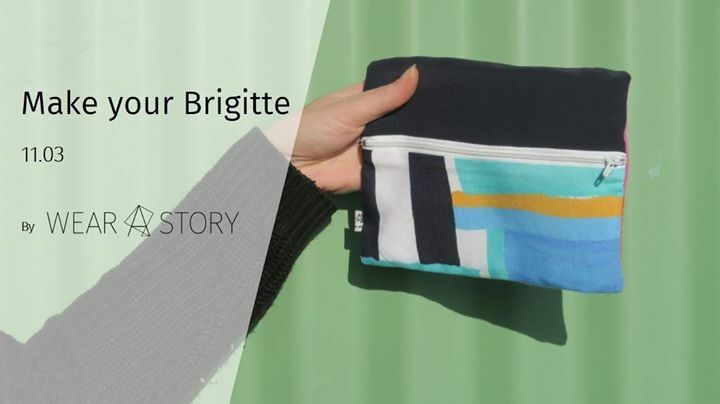 For this edition we are proud to offer you to create your personalized Brigitte. You will learn all the steps that are necessary to make this overly cute clutch from A to Z.
Don’t forget to invite your best friend or make her jealous!